I’ve been working away at starting to get organized for the holidays; I shared my free printable Christmas planner, as well as a collection of the best low-tech gift ideas for kids that I could find; but today is my first decor oriented post of the holiday season! High fives all around! Some may call it early still. Okay, most people would roll their eyes at the fact that our house is 85% decorated for Christmas already; but I simply call it planning ahead. And, truthfully, I enjoy it. So, who cares? Each year, one of my favourite parts of decorating for Christmas is uncovering and finding a home for our sweet little Nativity set. 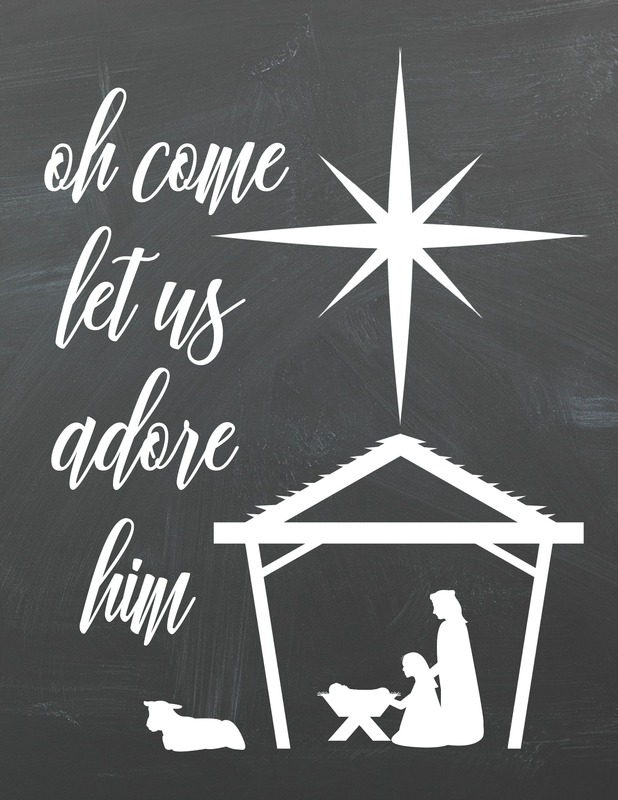 And this year I created a lovely printable to go along with the nativity based on one of my favourite holiday carols: “Oh Come Let Us Adore Him”. And I made it for you in two different sizes and four different colours, including a chalkboard background! 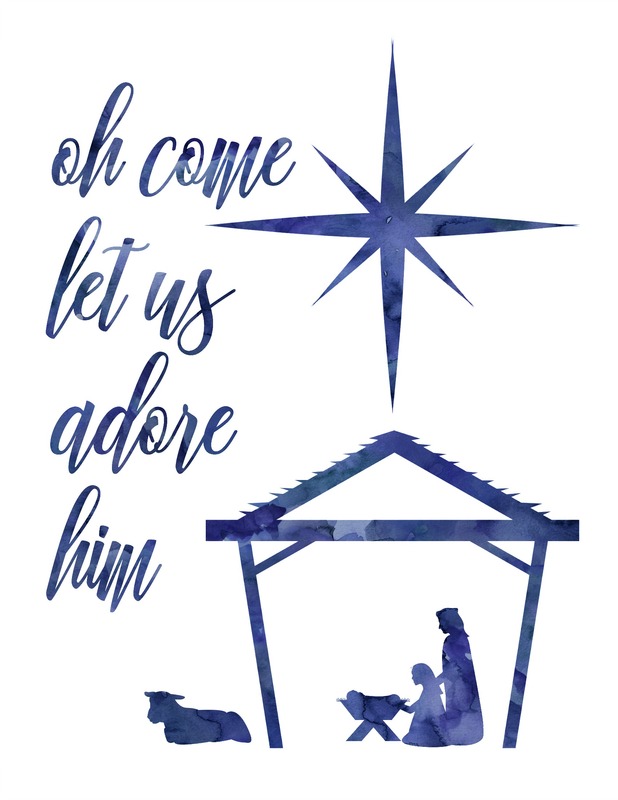 Today I’ve also joined up with a group of my super talented blogging friends who are also sharing their own free Christmas printables! I know you will love what they have in store for you; I shared the images and links to their printables at the bottom of this post. 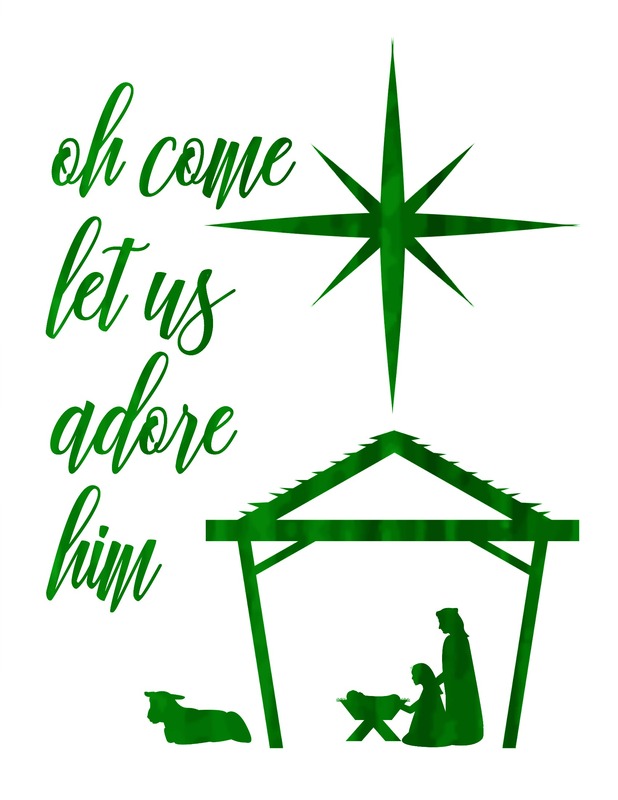 As I mentioned, some of my talented blogging friends are also sharing their free Christmas printables today! 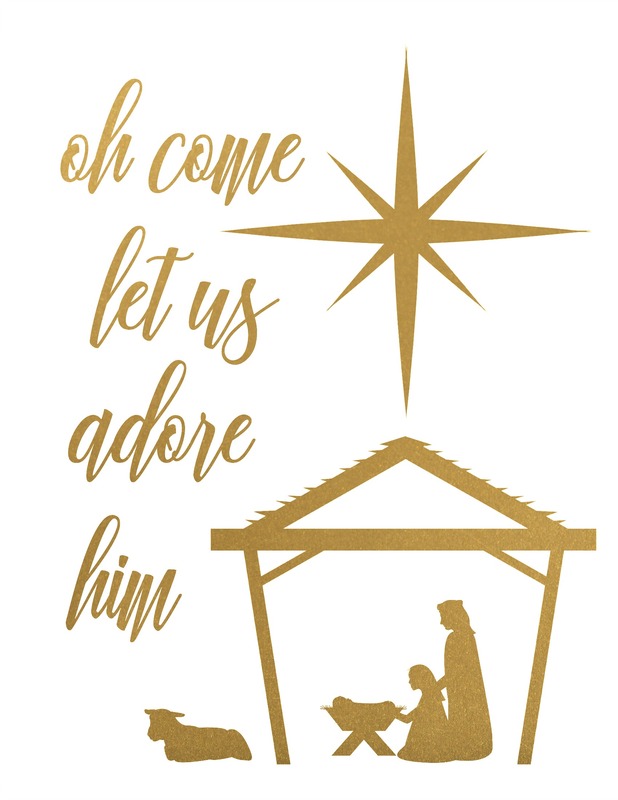 What font did you use on the “oh come let us adore him”? I love it. Such a pretty reminder of what the season is really about, Krista. Hope everything is going well with you.